Jeffrey at the press conference. 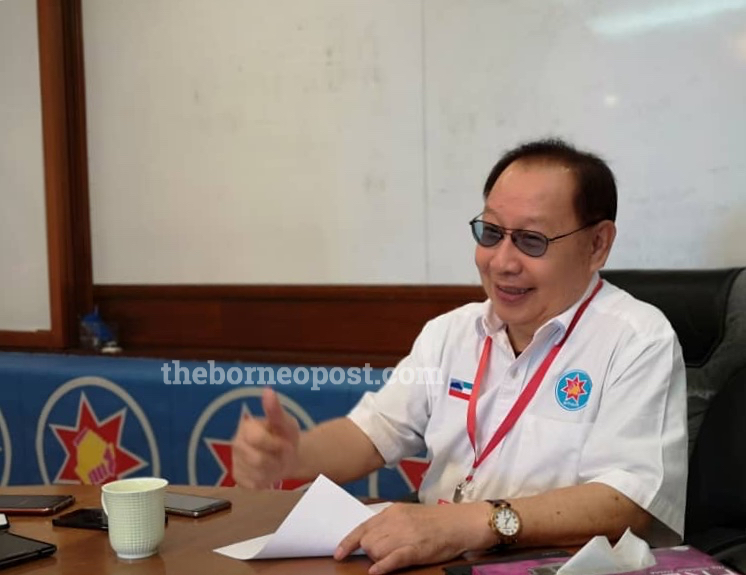 KOTA KINABALU: Sabah Star president and opposition chief, Datuk Dr Jeffrey Kitingan says they are ready to take over from the Warisan-led government if Tan Sri Musa Haji Aman wins the court case as the state’s rightful chief minister tomorrow (Nov 7). Speaking to press members at the Sabah Star Extraordinary General Meeting (EGM) today, Dr Jeffrey explained that Musa is still qualified to become Sabah’s chief minister despite being recently charged by the Malaysia Anti-Corruption Commission (MACC) as he has not been convicted, tried and disqualified. “We see this merely as a political distraction to destabilise the situation particularly supporters and the YBs to goyang (shake)… so we don’t have to worry about that. After all, he has not been convicted. If he wins tomorrow, he will still be the chief minister. And of course, he will have to handle his case, and that means he will have to plan for transition or whatever to manage the government. “In a way, this is good because there will be changes. If you are a target, you remove the target to the side and the person who comes up will not be the target anymore so easier for the government to function,” said Dr Jeffrey. He added that the court case will be heard at 3.30pm and that although the decision cannot be changed, their supporters will be there. At the same time, Dr Jeffrey also commented on the possibility of a snap election being held. “There will always be a possibility but it may be small. Why? Because I anticipate a strengthening of the situation. Siapa mau susah-susah election kalau cukup tu nombor (who wants an election if the numbers are adequate). So there is a possibility but it is small. But even if that happens, we are ready,” he said. He added that they have looked at all the possibilities including appeal and the possibility of other things happening and other options. “Of course, we hope and pray it will be a smooth transition, which is why we met with leaders at the federal level to ensure we have an understanding,” he said.